USG Corp. has entered a private-label agreement with Powerhold, the largest flooring accessories distributor network in the country. With the advent of this new partnership, USG’s distribution network in North America will be greatly expanded by the distributors represented by the Floor Covering Distributor Alliance (FCDA). 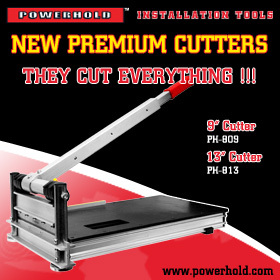 USG’s Powerhold products will be exclusively available to Powerhold’s vast network of flooring distributors. In addition, distributor members will have not only the best value products, but also an experienced team that is second to none. “The FCDA strives to provide its distributor members with the best products in the market. Our partnership with USG, a demonstrated leader in the flooring industry, allows us to not only provide the best products, but the best in support as well,” said Jeff Brugman, executive director, FCDA, Powerhold. The five Powerhold products covered by the private label agreement include: Powerhold™ 850 Fast Finish Patch & Skim Coat; Powerhold™ 650 NE Patch Plus; Powerhold™ PC-5K Self-Leveling Underlayment; Powerhold™ LP-4K Self-Leveling Underlayment; and Powerhold™ 900P Primer. Offering 10 percent greater coverage than competitive products, Powerhold 850 Fast Finish Patch & Skim coat is an innovative, trowelable, cementitious floor patch that can be used on most interior floors including concrete, wood subfloors, and tile. Incredibly smooth and easy to work with, this floor patch also makes for an easy application process. Versatile and trowelable, this floor patch is designed for interior use over concrete and wood subfloors. The polymer-modified, cement-based patching compound is ideal for renovation projects and provides a smooth surface for accepting floor coverings. No priming necessary, Powerhold 650 NE Patch Plus is easy to mix and apply, and is fast-drying; floor coverings can be installed in as little as one hour after set. As a high-strength Portland cement-based underlayment, Powerhold PC-5K Self-Leveling Underlayment is ideal for interior use over concrete. 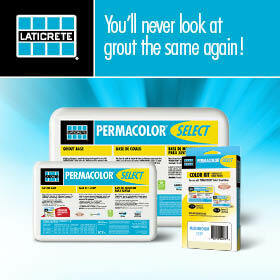 With compressive strengths at a minimum of 5,000 psi, Powerhold PC-5K meets the requirements of ASTM F-710 “Standard Practice for Preparing Concrete Floors to Receive Resilient Flooring.” The fast-setting and application process also allows for return of light trade traffic within 24 hours and it can go from featheredge to 2 in. thicknesses. Powerhold LP-4K self-leveling underlayment is a low-prep, versatile, high quality cementitious floor underlayment for interior use in light-commercial and renovation construction. With an exceptionally smooth, crack-resistant surface, Powerhold LP-4K self-leveling underlayment accepts a variety of floor coverings and helps to maximize sound isolation between floors/units. Powerhold LP-4K can be easily applied over wood and concrete subfloors at a thickness of up to 3 in. ; over non-water-soluble adhesives (on concrete only), and in radiant heat installations. 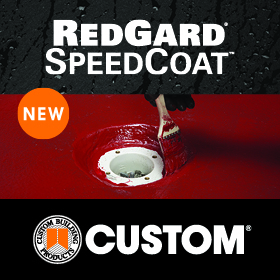 Offering high compressive strengths (approximately 4100 psi) at low thicknesses, it is fast-applying and fast-setting; and can be walked on just 2 hours after installation, allowing for the return of light traffic. Powerhold 900P Primer is a high-solids sealant that can be diluted with water to prime highly porous concrete, precast concrete, APA-Rated exterior glue plywood and OSB (oriented strand board). The primer may also be used as a sealer for Powerhold LP-4K self-leveling underlayment to enhance the bond between the underlayment and the floor-covering adhesive. With low odor, the Powerhold 900P Primer is mildew resistant and won’t stain a finished floor. For more information visit http://Powerhold.com.